New sets of picture as I am more accustomed to the coating after a few times.. The more times of coating, the better will be crust. I was so tired after I finished cooking the dish. I really do not have much pictures to show… I am tired because I am short handed as my wife had an appointment yesterday. I was tired because I was in quite a mess when I tried to coat the chicken with the flour which was much more difficult than what I thought. After I deep fried my first 2 pieces of chicken, it didn’t look like what I am trying to imitate, I changed my approach for the next 4 pieces of chicken and the results were satisfactory. 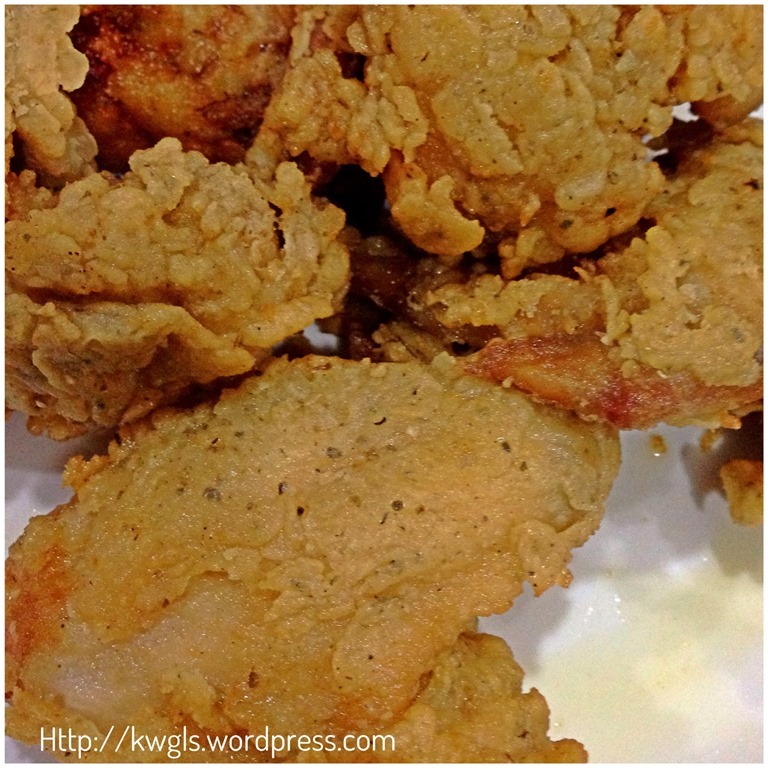 I am trying to imitate the famous KENTUCKY FRIED CHICKEN (“KFC”), original flavour. 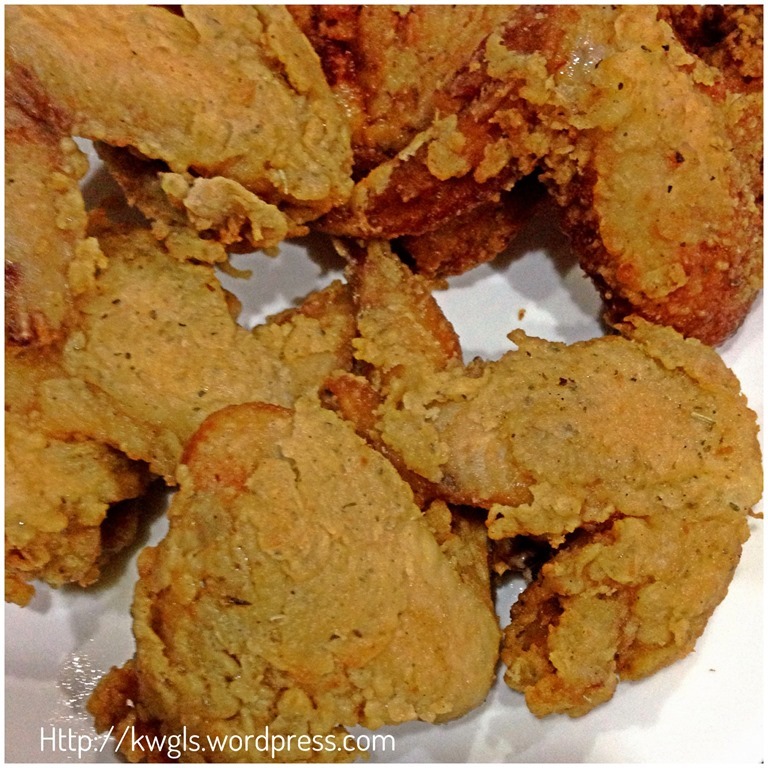 Of course, no body will know the exact recipe of KFC, otherwise, the whole world will be full of KFC fried chicken. 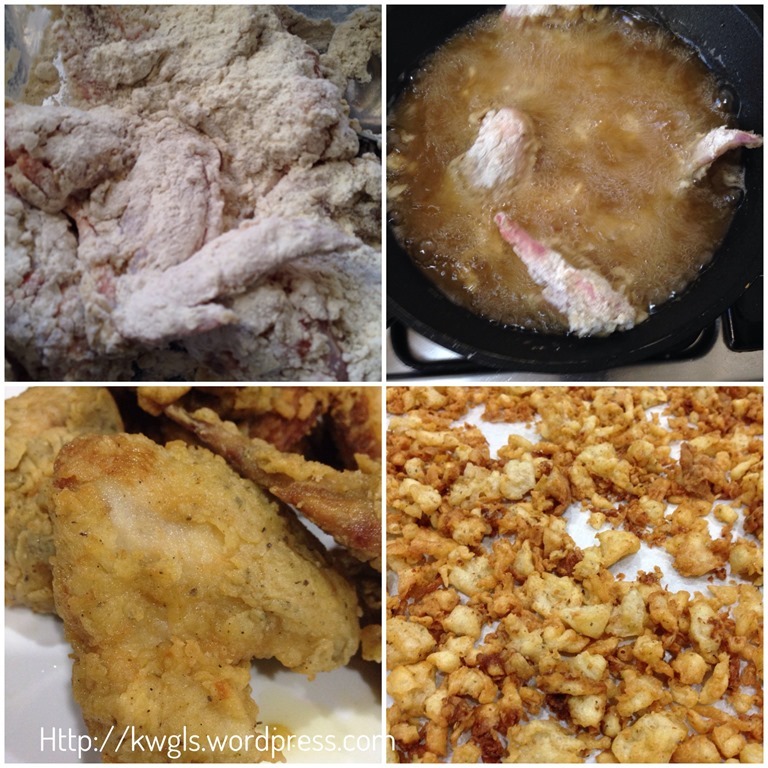 I looked up one simple recipe KFC Original Recipe Fried Chicken Recipe . Though this is called simple, but there are lots of herbs in the recipe, and if you have or willing to buy all the herbs, you can follow the recipe. What I have done is just using minimal herbs and concluded that it is not the herbs that really create a difference in taste, it is the black pepper that make the difference. Pardon me if I am wrong. My recipe is definitely not perfect and I would say, it is a 80% taste alike.. 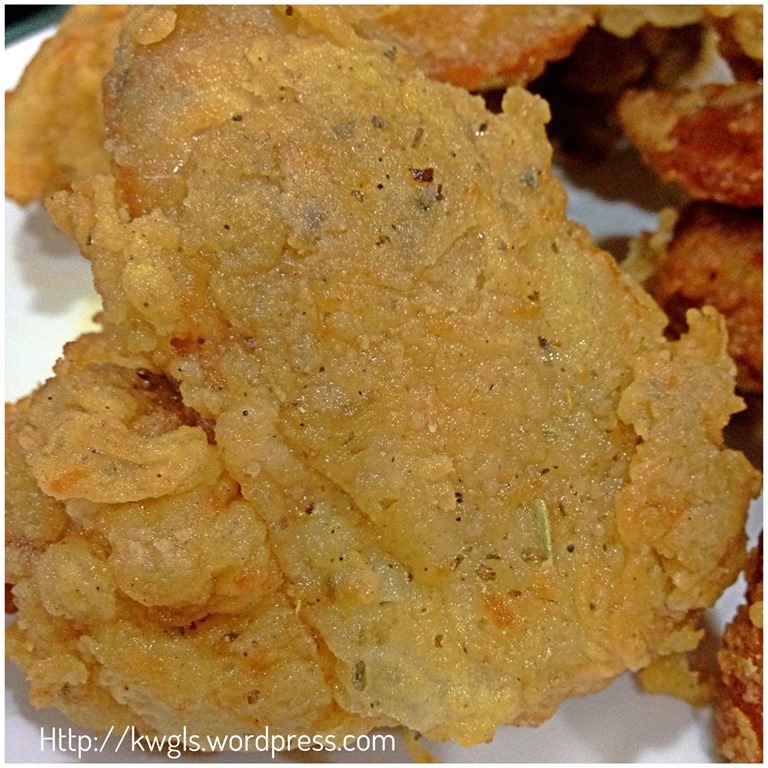 But it is definitely worth a try because it is unique in taste on its own, therefore I have called this ITALIAN HERBS FRIED CHICKEN. 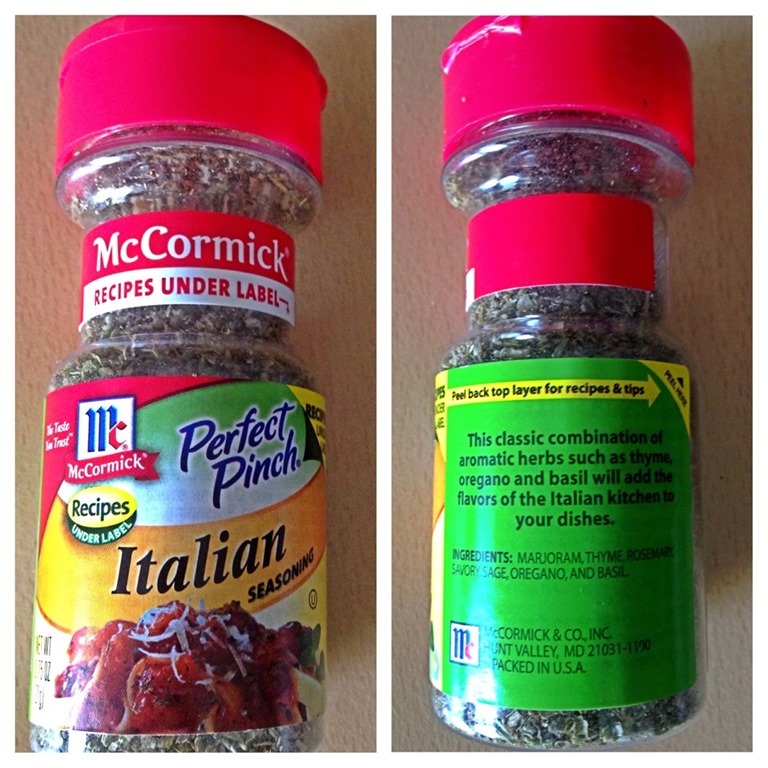 I have used the following “Italian Seasoning” which I usually used it for spaghettis, pizza, breads, and etc. In its bottle label, it is written that the ingredients are : marjoram, thyme, rosemary, savory, sage, oregano and basil. The price is very reasonable costing about SGD2-3 per bottle. In a large bowl, beat eggs and milk together until well mixed. 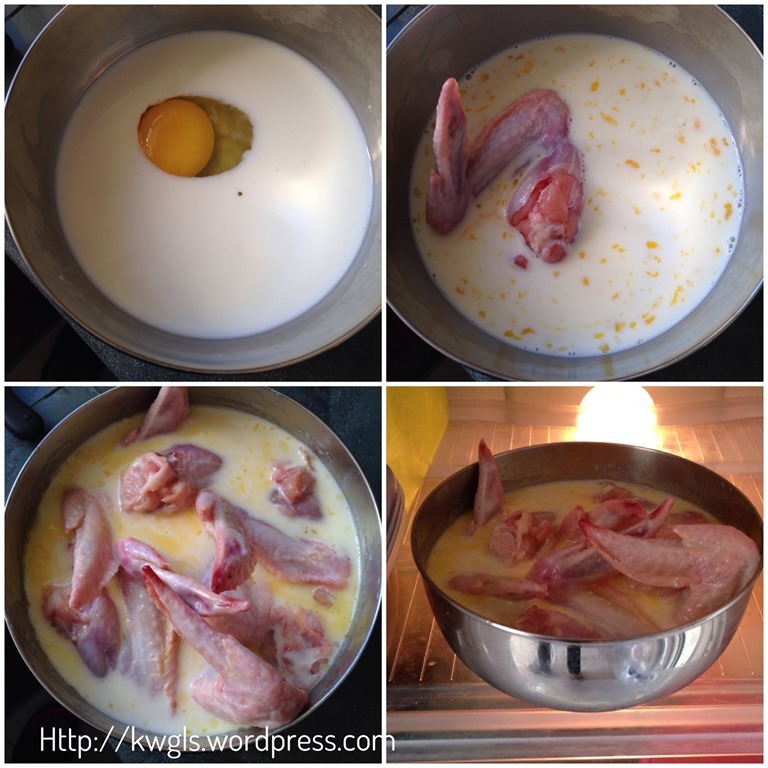 Put all the chicken wings in the milk and let it soak for as long as you want. I soaked mine for about 30 minutes because I have so much things to do in between. Soaking is quite optional. If you do not have the time, just dip and coat with flour. 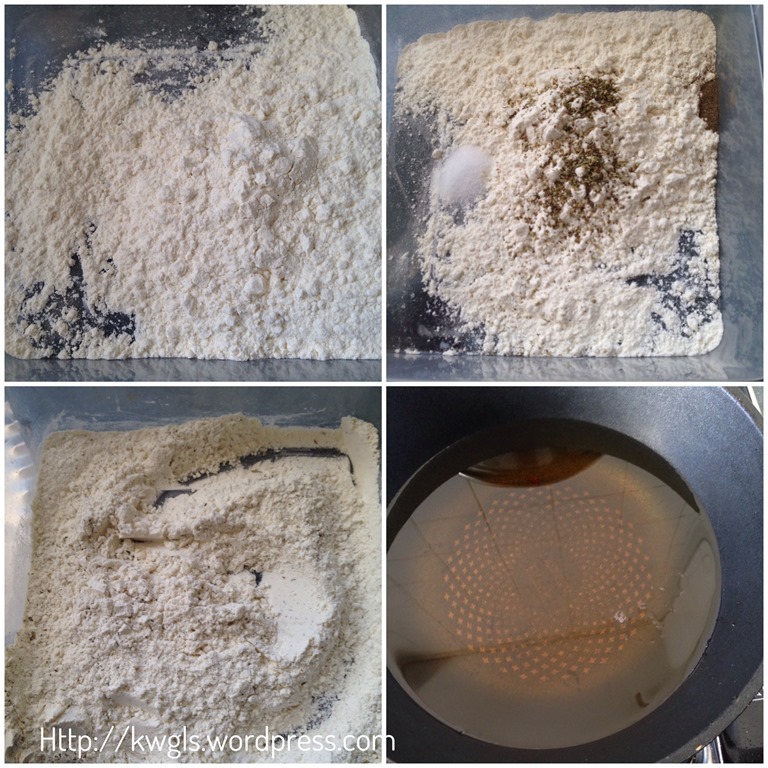 In a plastic container, put the plain flour, all the spices and salt together, stir and mix well. This is the additional picture to show the difference between single coating and double coating. Double coating will have more flours attached to it giving a “flour skin” surrounded the skins of the chicken wings. You will likely to have some milk and the coating flour left, add the two together and make it into a batter. If it is too watery, add in 1-2 tablespoons of flour. If it is too dry, add in some more water or milk. Once the batter is ready, slowly pour into to the oil, use something to stir the batter. If it becomes a lump, use scissor to cut it. 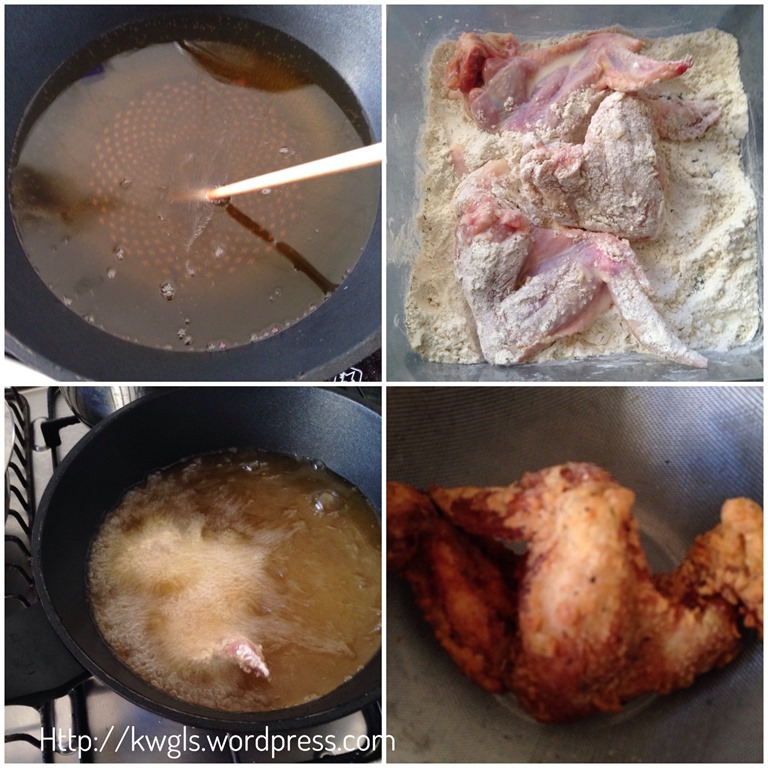 Let it fry for at least 5-6 minutes or when the fritter is crispy or golden brown and you will have additional “fried chicken skin” to enjoy! 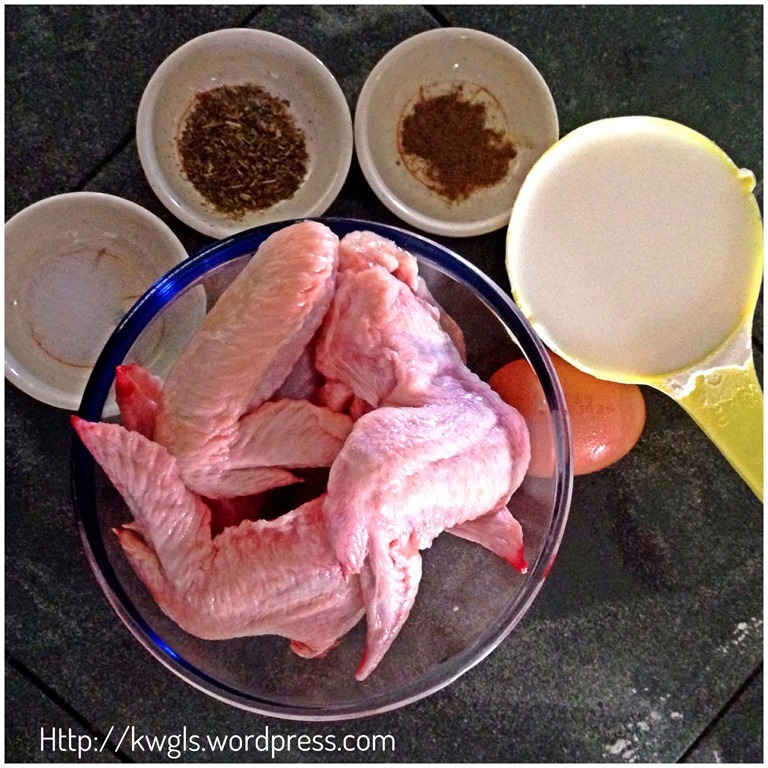 This is just a simple post that I wanted to share about my cooking adventure. As I have said, taste wise is at least 50% alike. 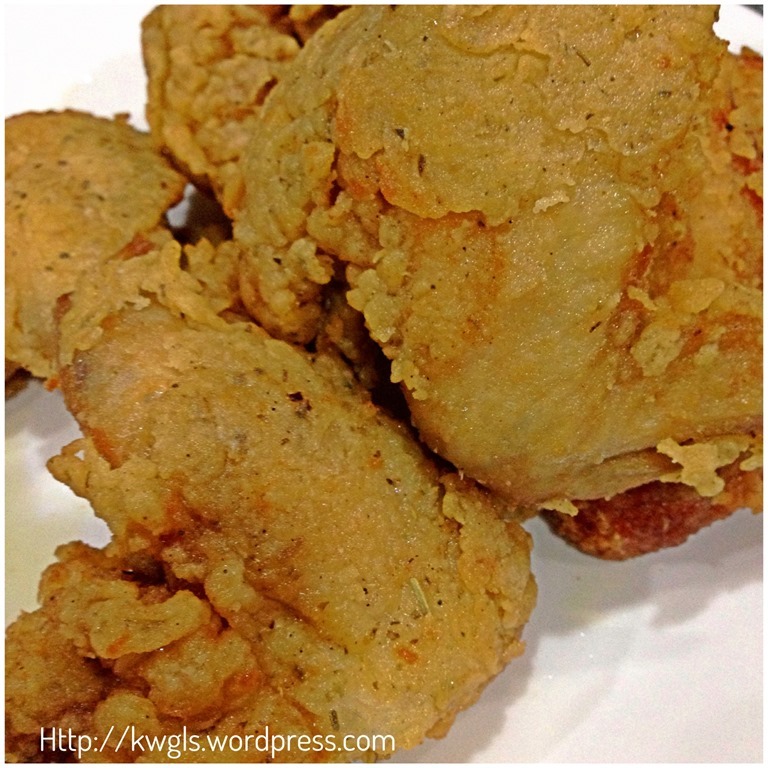 Put aside the resemblances expected with the commercially sold KFC chicken, the incorporation of Italian herbs and black pepper in the fried chicken is something worth trying. I believed you wouldn’t be disappointed with this failed attempt of copycat Kentucky Fried Chicken. Hope you like my cooking adventures today and I apologize for the poor pictures taken today. Cheers and have a nice day. 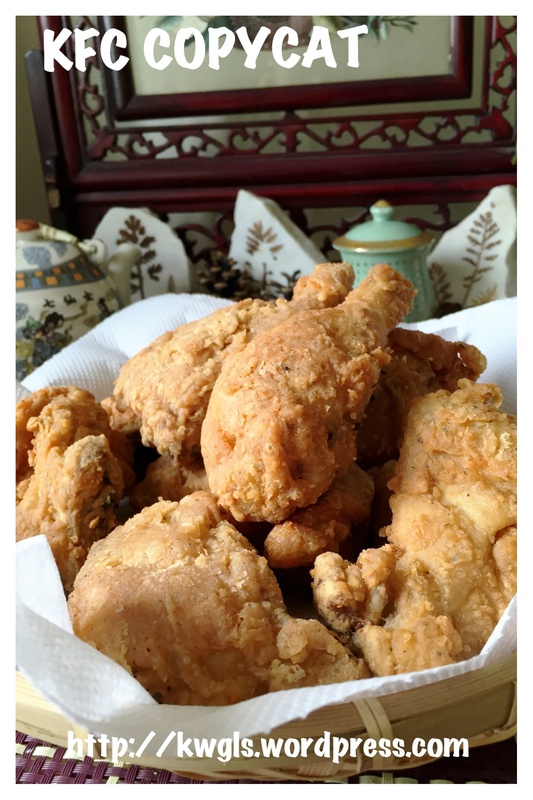 This entry was posted in Dish, Food Preparation Series and tagged 8, copycat Kentucky fried chicken, copycat KFC fried chicken, fried chicken, Guaishushu, Italian herbs fried chicken, Kentucky Fried Chicken, postaday. Bookmark the permalink. Kenneth this story cracks me UP! I sat here and giggled. What a great host story for our Four Seasons Blog Hop. Haha. Thanks for dropping by! I would still eat it! Thanks for linking up to #tastytuesdays! Hehehe, love this – and it doesn’t look like a fail to me! I fell in love with ur recipes- very adventurous n good . Where do u learn all the skill?? How to join Food Bloggers cuz I wan to showcase some of my recipes? You can just post in the Group and I will approve your post if it is your home cooking. That is surpringly close in visual terms, considering they use pressure fryers.